1) Her international crew – many from Indonesia and the Philippines – is warm, friendly and attentive. Everyone greets you with a “Welcome home” on the first day of the voyage, learns your name quickly and asks often if there is something they can do for you – a very happy situation for passengers! 2) The food is delicious and varied! Napoleon once observed that “an army marches on its stomach” and I say the same of cruise passengers, so plenty of good food is of the essence! 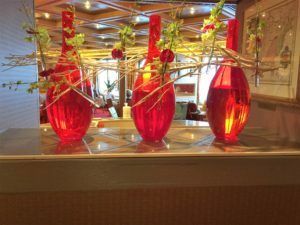 Menus on the Veendam offer lots of choices: there are eight appetizers/soups/salads, 10 main courses, and more than a dozen desserts on a typical menu. Always available items include French onion soup, Caesar salad, salmon, steak and roasted chicken or turkey. Vegetarian choices are also featured. 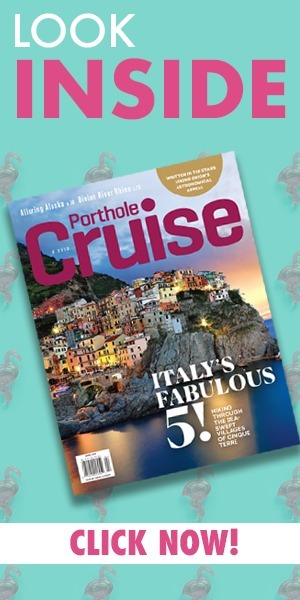 There is nothing like choice – and it makes for happy cruisers! 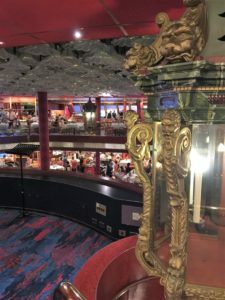 3) The ship offers both two traditional dinner seatings and open seating so guests have freedom to dine when they wish on any given day, or select from one of two fixed seatings. 4) The alternative dining venues of The Pinnacle Grill (Pacific Northwest) and Canaletto (Italian) offer delectable fare. 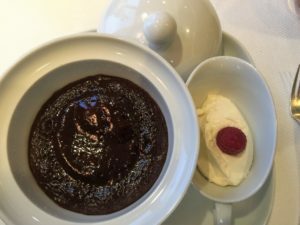 Who can say “no” to the sinful Grand Marnier chocolate volcano cake (with a melting chocolate “lava” center) at The Pinnacle Grill, and the creamy gelato at Canaletto? Not me! 5) The ship’s relaxed dress code is ideal for this day and age: on Gala Nights the requisite is a collared shirt and pants, so guests who do not wish to wear a tuxedo, suit or jacket and tie can still enjoy dinner in the main dining room. And, of course, guests who wish to dress to the nines can always do so! 6) The Greenhouse Spa is an oasis with a relaxation room, a thermal suite and a variety of treatments and salon services – perfect for a lazy day at sea or for relaxing after exploring the ports. And for swimming enjoyment – even in inclement weather – the ship’s Lido pool is covered with a retractable glass dome. 7) The Crow’s Nest, the observation lounge located forward, has super-comfy leather chairs/ottomans in front of floor-to-ceiling windows. It is ideal to watch port entrances and exits, and a sunset or two – in fact, I could stay happily ensconced there a big chunk of each day! 8) The enrichment lectures and activities including Digital Workshops powered by Windows are informative. I also like the Oprah Winfrey programming including book club sessions, meditation, and more; the America’s Test Kitchen culinary demonstrations; the BBC Earth Experiences including concerts, films and shows; and the port lectures. 9) On Location activities bring the destination onboard. 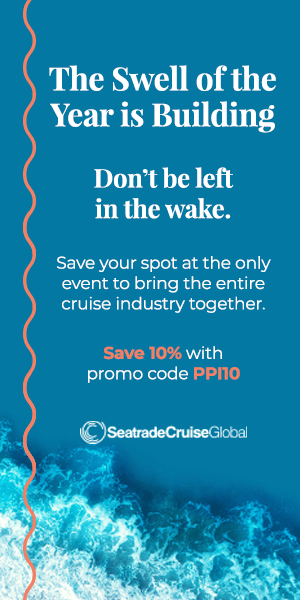 These programs bring the culture and flavors of the places visited onboard and include port talks, culinary selections on the menu from the region and, depending on the itinerary, special events including local folk entertainers who perform at the Showroom At Sea, like a Norwegian Folk group while in Geigranger, Norway. 10) A cinema, the Wajang Theater, for movies… with free popcorn. 11) The gracious, happy ambiance of the ship. Public areas are adorned with fresh flower displays including local blooms, like, for example, sunflowers –so evocative of Van Goth – while in Amsterdam, as well as a multi-million-dollar collection of art and antiques that includes the spectacular glass sculpture, “Jacob’s Ladder” by the late Luciano Vistosi gracing the ship’s three-deck-high Atrium. 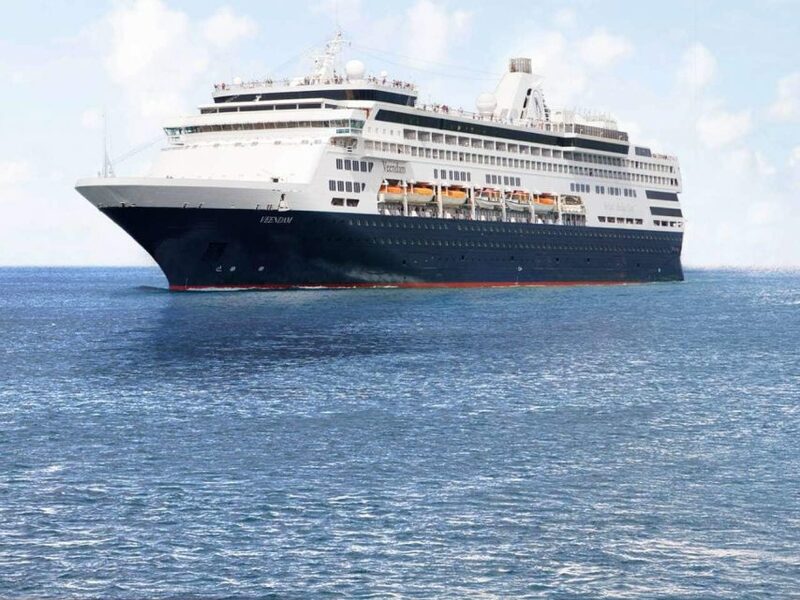 The Veendam was my first Holland America experience, back in the early 1990s and I’m just getting ready to join her again. HAL has provided many many happy days at sea, and I look forward to sailing on one of my favorite ships again. We love Holland America and have about 14 cruises logged. Did a trans-Atlantic cruise in 2015.it had been our first cruise in about 12 years because we did Florida for a few years. This past March we sailed on the kongisdam and this coming year we will do statendam. Can’t wait. Service is great as well as food, activities and relaxing.